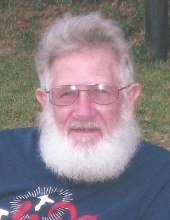 Ben L. Jones, 80 of Kirbyville, TX died Sunday, February 3rd, 2019 at Christus St. Elizabeth Hospital in Beaumont. A native of Burkeville, TX, he was raised and graduated from Newton. He was a longtime resident of Vidor before moving to Kirbyville 6 years ago. Ben was an active member at his church Victory Assembly of God in Kirbyville. He retired from Sunbeam Bread as a route driver. Ben enjoyed singing, crossword puzzles, word search and fishing, but most of all he loved spending time with his family and grandchildren. He was very proud of his family. He was a past member of Pecan Grove Community Resident Advisory Committee. Visitation will begin at 6:00 pm Friday, February 8, 2019 at Memorial Funeral Home of Vidor. Funeral services will be held at 4:00 pm Saturday, February 9, 2019 at Memorial Funeral Home. Ben was preceded in death by his wife Helen Jones, parents Bennie and Carrie Jones, step mom Mary Jones, sister Marjorie "Sis" Carroll, and step brother Wayne Alderman. He is survived by his son Gregg Jones and his wife Opheila of Mesquite, TX, daughters Melissa Piggott and her husband Mark of Kirbyville, TX, Loretta Watson of Vidor, TX, sister Betty Kelley of Lakeland, FL, 9 grandchildren Zach Jones, Brittiny Espinoza, Mark Piggott Jr., Matthew Piggott, Michael Piggott, Leandra Watson, Christy Vernum, Dylan Watson and Jeremy Vann, 1 great granddaughter Chloe Espinoza, numerous nephews and nieces. To send flowers or a remembrance gift to the family of Ben L. Jones, please visit our Tribute Store. "Email Address" would like to share the life celebration of Ben L. Jones. Click on the "link" to go to share a favorite memory or leave a condolence message for the family.